You may declare that life is such a big paradox when the person you believed to be the ultimate “one” already belongs to someone else. Feels like a tragedy, right? Why does this happen when your Twin Flame is supposed to be with you? Is it some kind of a mistake they are already in a relationship with someone else? Probably a lot more questions pop up in your head if you know someone is perfect for you but they are with someone else. But hey, everything happens for a reason. Have you considered thinking, maybe it’s not yet meant to be? In fact, maybe them being in a relationship with someone else is the best thing for both of you at the moment. Here are the 3 possible reasons your Twin Flame is with someone else! 1. It’s a preparation for your relationship. Your Twin Flame may not be ready yet to reunite with you. They have to go through experiences where they can play out the karma that needs to be sorted out. It’s only through relationship experiences they can get in contact with their shadow self and face their inner issues that prevent them from resonating with you. By learning these experiences, they’re able to reconnect with their inner flame that’s actually what attracts both of you together. 2. They need to remind themselves of their authentic self. Deep societal conditioning may have pushed your Twin Flame to wear masks in order to feel safe and survive. By wearing their masks so they can fit in society, they might have forgotten who they truly are. No matter how unhappy they have become in their life, the fact that they’re accustomed to their comfort zone makes them believe this is just how life is. You just have to respect them enough and believe in them to let them remember who they truly are on their own. 3. They need you to be reminded of what true love is. Unhappy relationships make your Twin Flame feel stuck, especially in your presence that subconsciously reminds them of their other destined partner. Feelings of dissatisfaction slowly come into their consciousness thereby making them look into their core, of where the core issue is coming from. This is the initial part of their awakening. Their failed relationships are meant to let them realize what true love is not. Your presence sparks the wisdom of love in the suffering Twin Flame because it’s what both of you are here for, to bring the world back into love through your relationship. Once they recognize what their heart is telling them, they will hear the voice of their intuition that is stronger than reason. As they get in alignment with their true selves, they’re able to move on from their limiting relationship and grow a relationship with you. What’s The Reason For Twin Flames In The World? 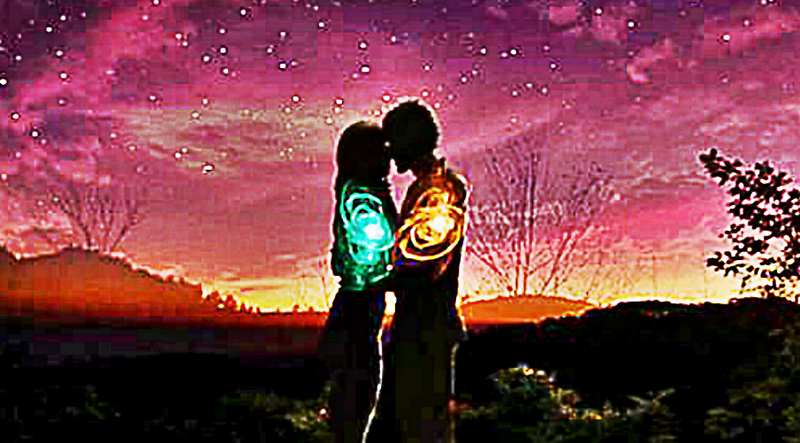 Twin Flames are there to help each other awaken the sparks of true love in their hearts. They exist to be reminders for each other of what true love really is and bring the world back to true love through their relationship. Through complete understanding of healing, that’s at the core of their relationship, the Twin Flame reunion inspires healing in others and the world. And when they finally meet, when their souls finally resonate and see each other for who they really are, oh man, people around them cheer for them, they feel the connection. But meeting your Twin Flame demands both of you to work on yourself and become your true authentic selves. It’s all a process Twin Flames have to go through.